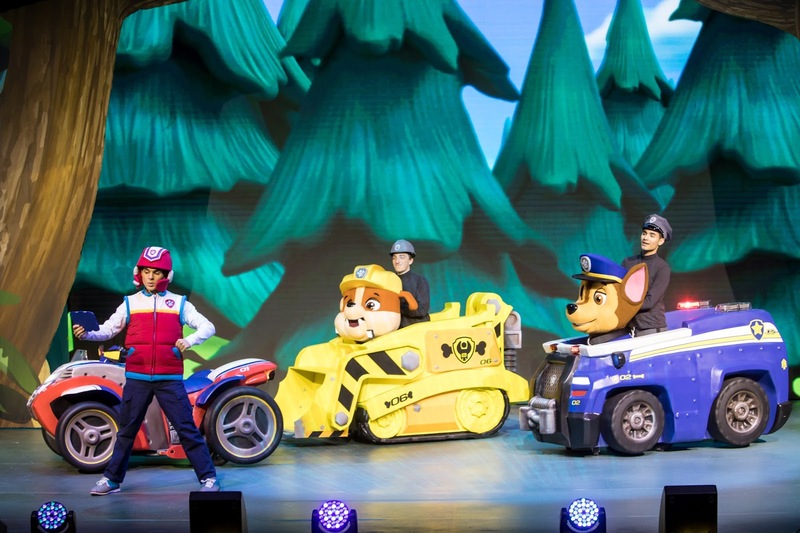 Ringing in Our Toddler's Second Year at PAW Patrol Live! We don’t typically watch a lot of TV in our house, but if you were to ask me the show that does get the most air time, hands down it would be PAW Patrol. Or “Paw ‘Troll” as it is affectionately referred to by Morley. She asks to watch it every morning when she wakes up and every night before she goes to bed. 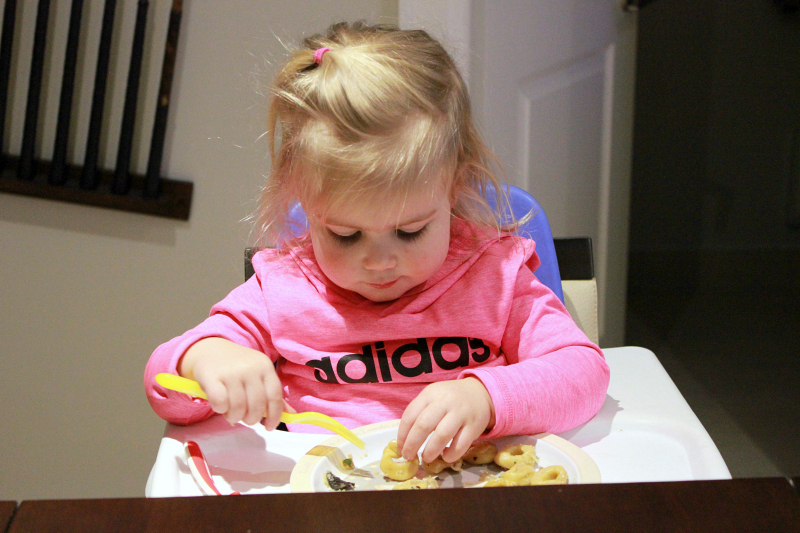 She eats breakfast in her special PAW Patrol chair and she can spout off every single pup’s name. It’s PAW Patrol all day, every day in our house. 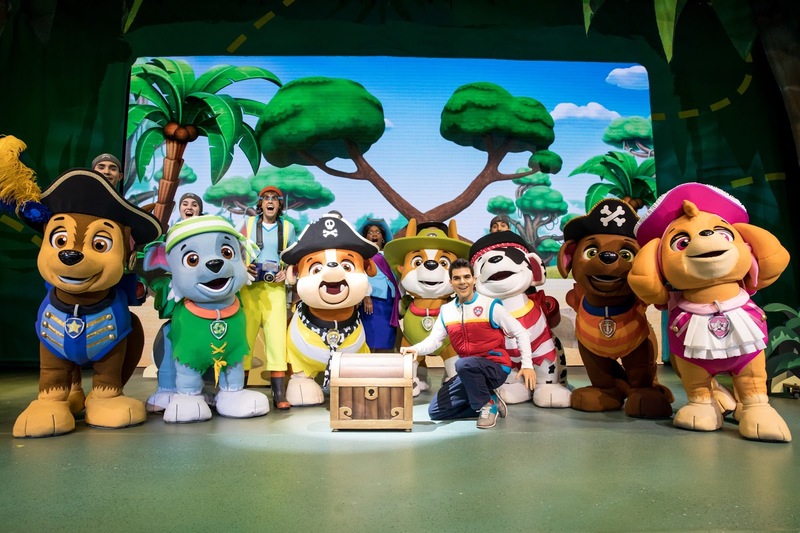 When we recently discovered that PAW Patrol Live! 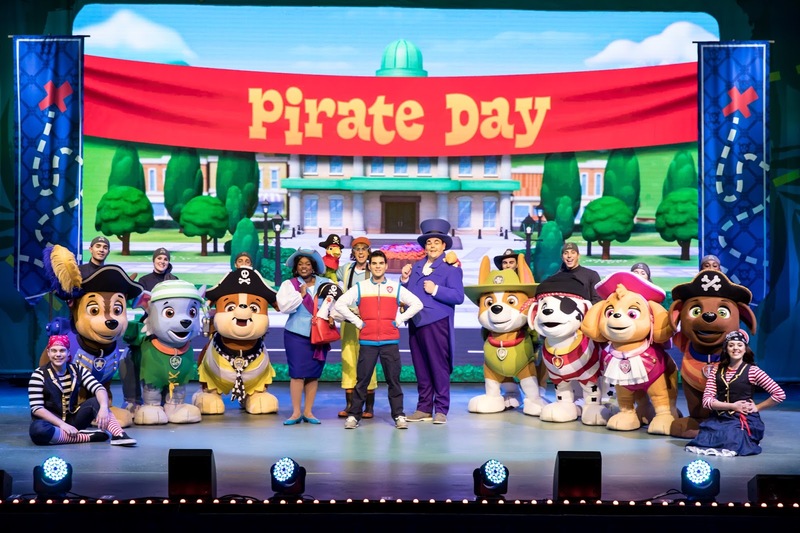 “The Great Pirate Adventure” (presented by Nickelodeon and VStar Entertainment Group) was coming to the Sony Centre in Toronto this March Break, we knew we had to take her. Attending this action-packed and music-filled production will probably be a highlight of the year. 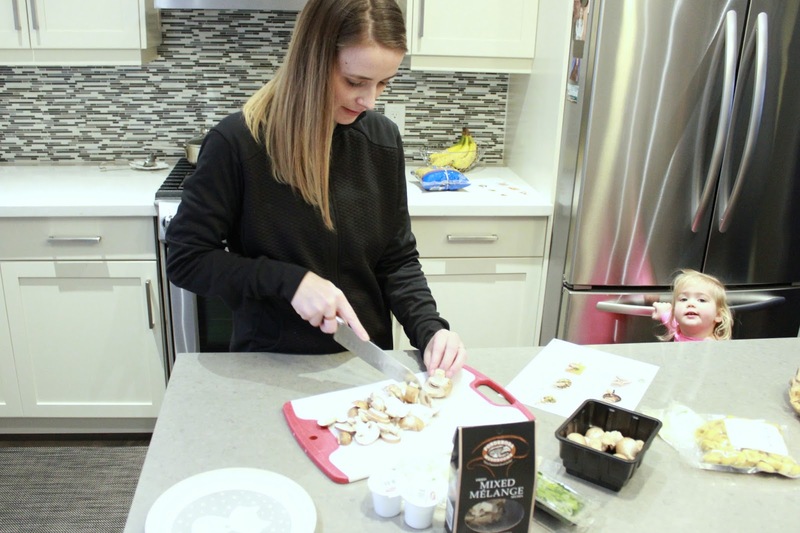 Not only for Morley, but also for mom and dad. We too often find ourself humming along to the catchy theme song, or wondering how the pups are going to solve the most recent problems in Adventure Bay. The perfect way to ring in this PAW Patrol-obsessed toddler’s second birthday! The new live stage show will visit Sony Centre Friday, March 16 through Sunday, March 18, 2018 for six performances total - March 16 at 6pm, March 17 at 10am, 2pm and 6pm and March 18 at 10am and 2pm. Tickets for all six performances are on sale now, and can be purchased at www.ticketmaster.ca or by phone at 855-872-7669. Ticket prices range from $22.00 to $50.00 per person. There are also a limited number of Gold Circle and V.I.P. (Very Important Pup) packages available, for an additional fee. The V.I.P. 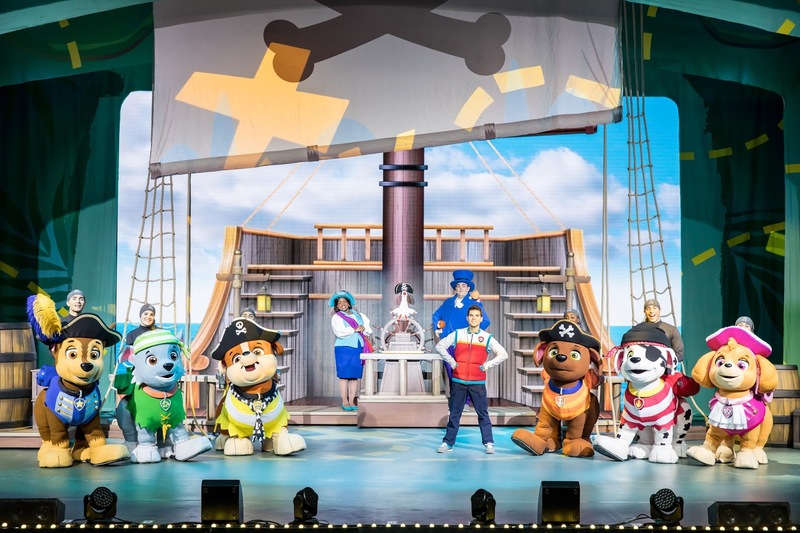 package includes premium show seating, a commemorative lanyard and and after-show Meet & Greet with PAW Patrol Live! walk-around characters. Attending the show? Use code PUP5 for $5 off each ticket (excluding Gold Circle & VIP seats). Disclaimer: To & Fro received complimentary product in exchange for this post. All thoughts and opinions are 100% that my own. “What's that great connection quote?”, Steve asked as we wandered past the female orang-utan on our most recent visit to the Toronto Zoo. “In order to protect something, you must love it. 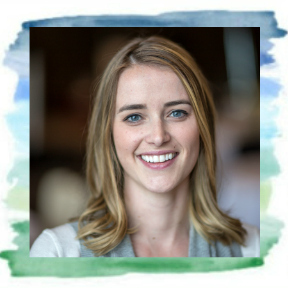 But in order to love something, you must first have a connection with it,” I respond. It really is my favourite quote, and one I fully stand behind. As we passed the ring-tailed lemurs, we started talking about our favourite non-North American animals. “Its a tough one," I said, "But the ring-tailed lemur and red panda are up there for me,” I've always been a fan of the smaller, lesser understood things in life. Plus they’re just so darn cute. “Really?” he asks, surprised at my selection. “Mine would be the lions. Or the giraffes. Definitely elephants." He elaborates on his last answer by telling me a story from when he was younger, when elephants still called the Toronto Zoo home and he got to go behind the scenes with to help feed them. He pauses, as if he took a trip back in time in his mind, remembering the moment and how much fun he had. Remembering the connection he built with the elephants that day. I interrupted the memory by saying, “See, there’s your connection. That's why you love them, and that's why you care about them." And that my friends, is why it is one of my all-time favourite quotes. As animals lovers, building a connection with Morley is extremely important to us. We know she loves dogs, she has her grandparents’ pups “Tity” and “Lolalita” to thank for that. But we want her to appreciate all animals, from big to small and cute to, well, not so cute. 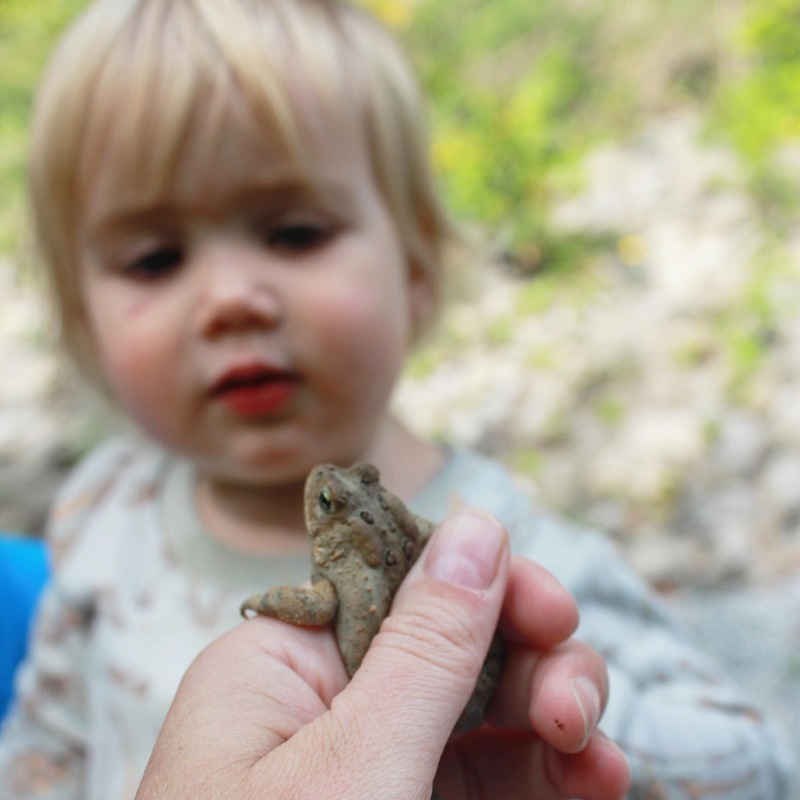 There are many ways to connect kids with animals, which I share in this post here. 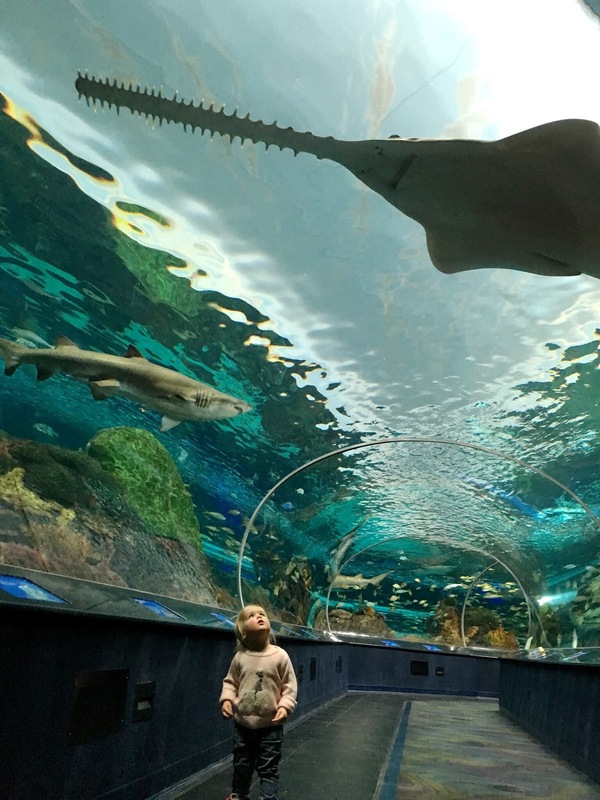 In Toronto alone, our opportunities are nearly endless - you can visit a conservation area to see native animals in action, the Royal Ontario Museum to see animals from the past, Ripley’s Aquarium of Canada if fish are your thing or you can take a trip to the Toronto Zoo if mammals, birds and reptiles are more your style. 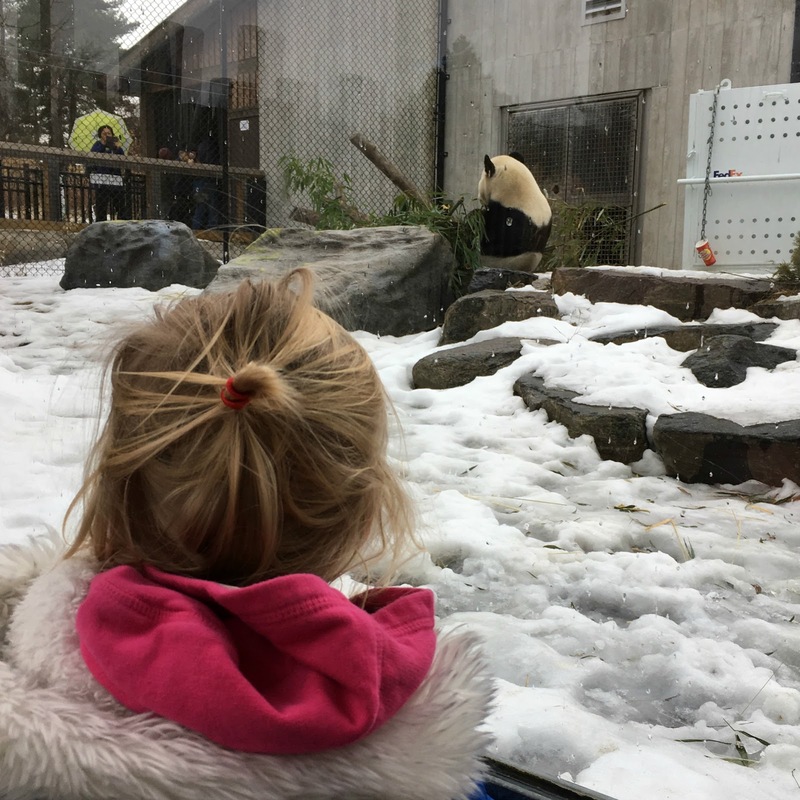 The Toronto Zoo is the perfect place to build that animal connection, and where we spent the recent Family Day. Set in the beautiful Rouge Valley in the east end of the city, the Toronto Zoo first opened its doors in August 1974. 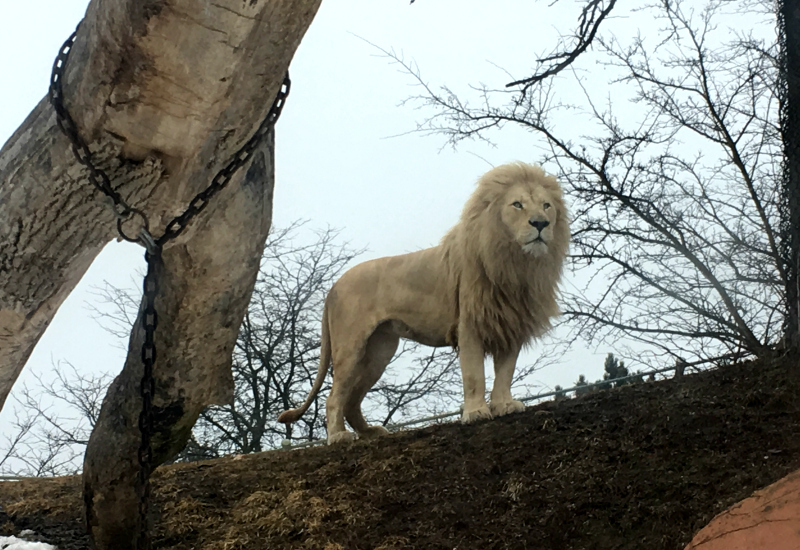 The Zoo is made up of 710 acres of land, which is divided into seven zoogeographic regions - Indo-Malaya, Africa, Americas (North & South America), Eurasia Wilds, the Tundra Trek, Australasia and Canadian Domain - and home to over 5,000 animals representing 450 species. Since opening its gates, it has been a leader in saving and protecting species and their habitats, both locally and globally. Exactly as we predicted, this trip to the Zoo was much different than our first visit at six months and even our second at 13 months old. 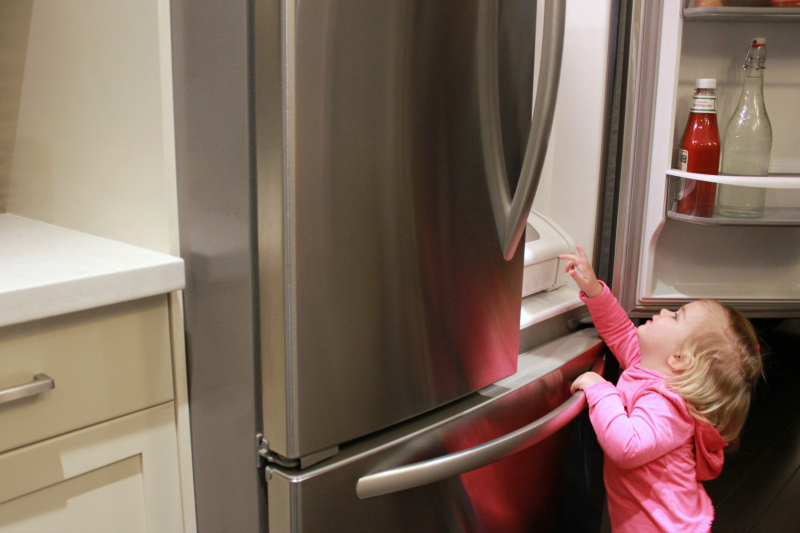 At just shy of two years, Morley is now at the age that she notices even the smallest things in front of her and can tell us exactly what animal she's seeing and even what she wants to see next. 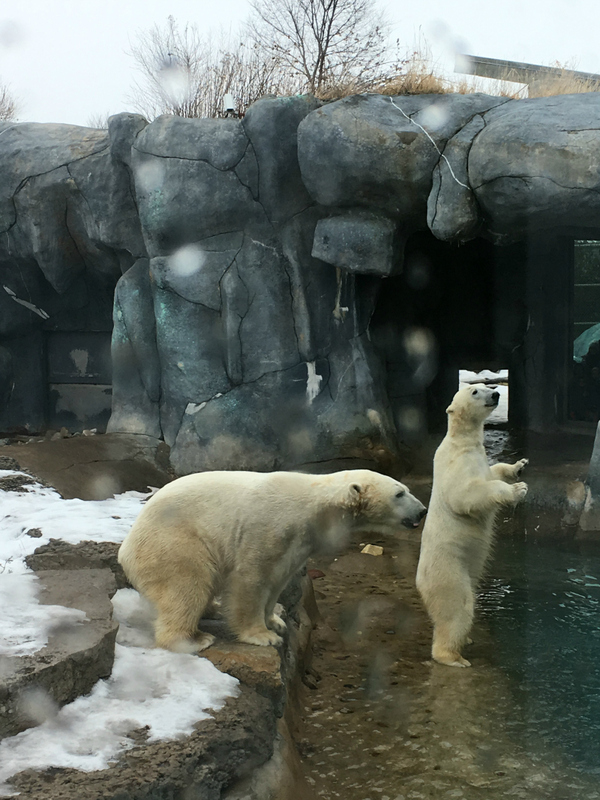 While some of the animals were tucked indoors for the winter, we still had the chance to see the pandas, polar bears, wolves, tigers, lions, cheetahs and more. While we knew we were taking our chances on the weather before we walked through the front gates, it only started raining about half way through our journey. Luckily, we could escape the drizzle by popping in to one of the many animal pavilions to warm up. 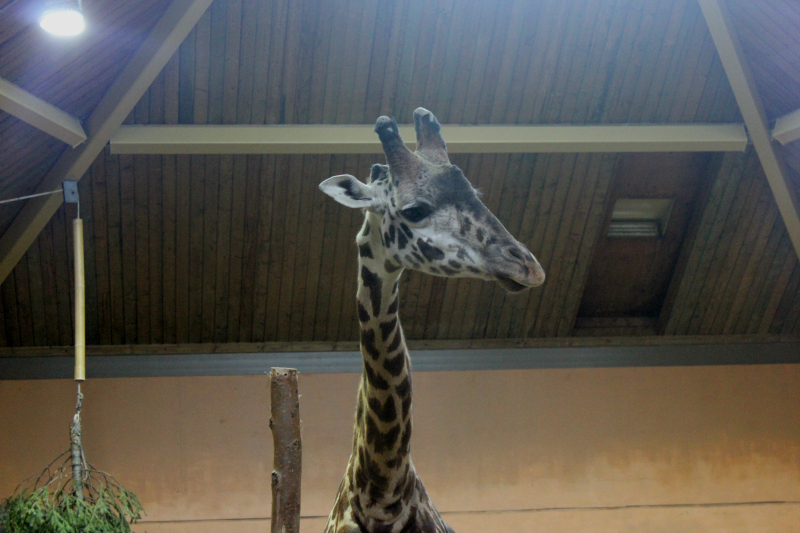 Indoors, we saw the giraffes, rhino, gorillas, orang-utans and more, which was more like a quick trip to the tropics. 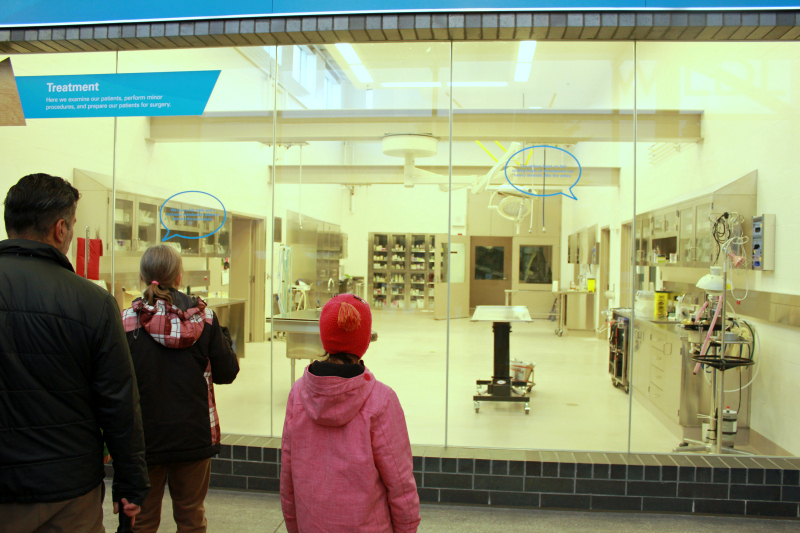 Seeing as it was a long weekend, we also got to take a tour of the new, state-of-the-art Wildlife Animal Health Centre. 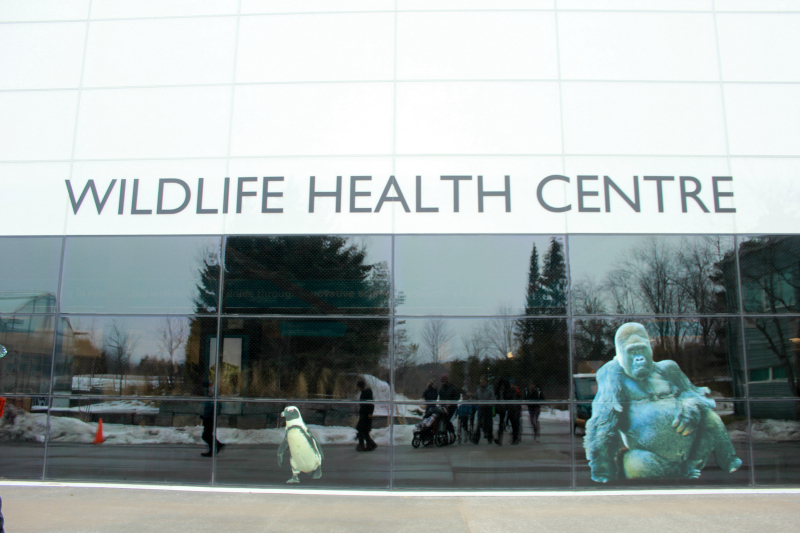 The volunteer-led tours (12:30pm on Saturday and Sundays, leaving from the Tundra Trek Zoomobile Station) allow you to catch a glimpse into the work the Zoo does behind-the-scenes, having access to a viewing gallery featuring the diagnostic imaging, treatment and surgery room and the clinical and endocrinology labs. Morley loved taking advantage of the activities for kids, including testing her surgery skills in an Operation-style game. 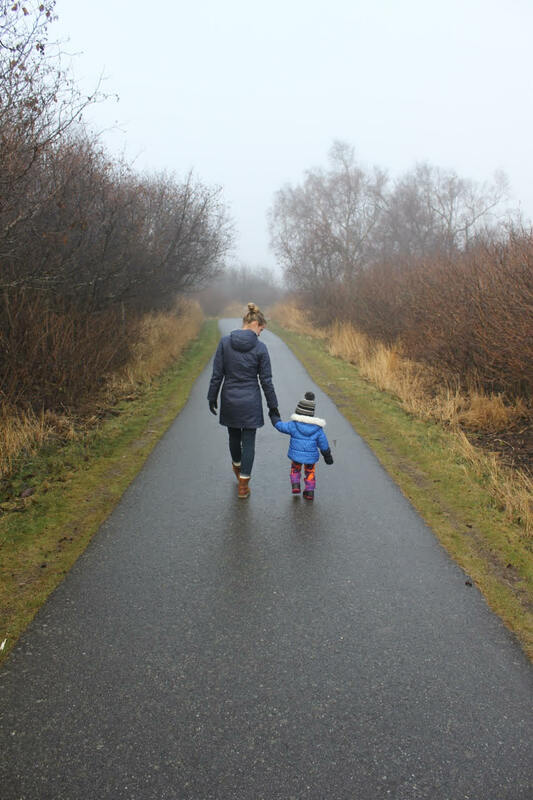 Despite the bit of rain, it was the perfect winter day at the Toronto Zoo, and we can't wait to go back! Oh, and in case you're wondering - our favourite North American animals? For me, it’s the polar bear and for him, it’s the grey wolf. 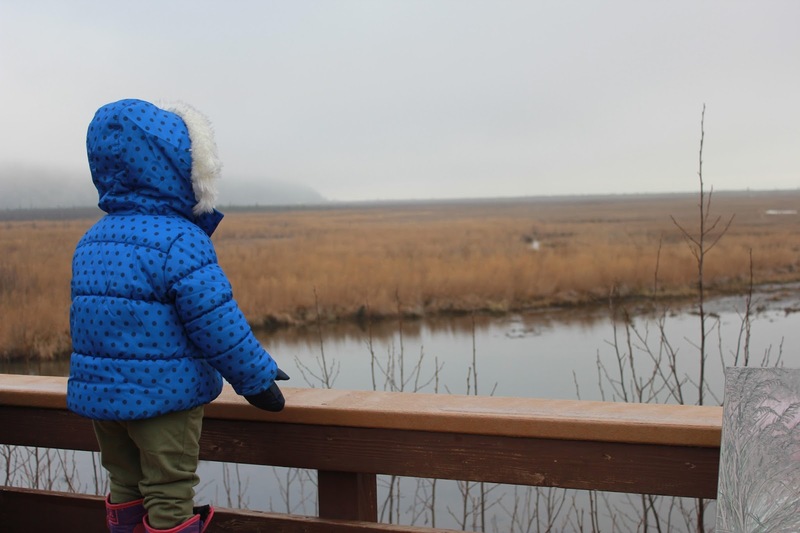 Seeing polar bears in the wild and hanging out with wolf cub pups are the connections to thank for those loves. What is your favourite animal story? Have you visited a zoo lately? I’d love to hear! Hours: Open 364 days a year (closed Christmas Day), but hours vary depending on the season. Give yourself at minimum 2-3 hours to visit. Last admission is one hour before close. 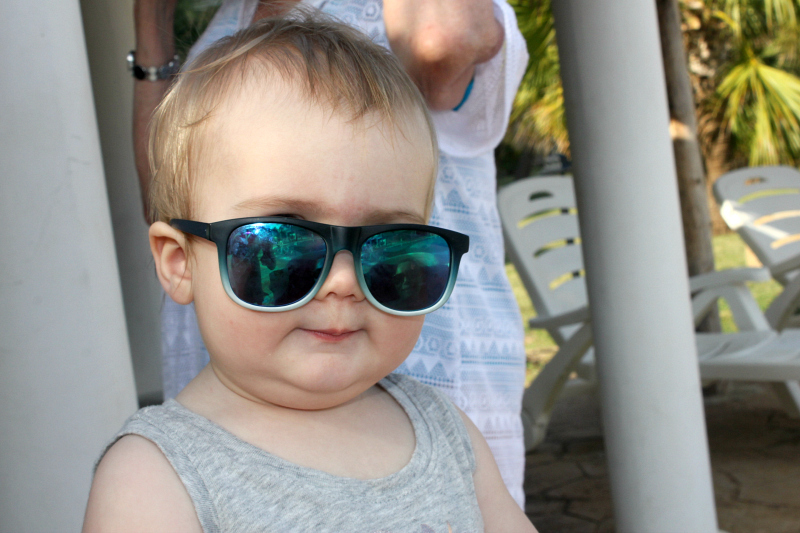 Admission: Cost of admission varies by season and age. 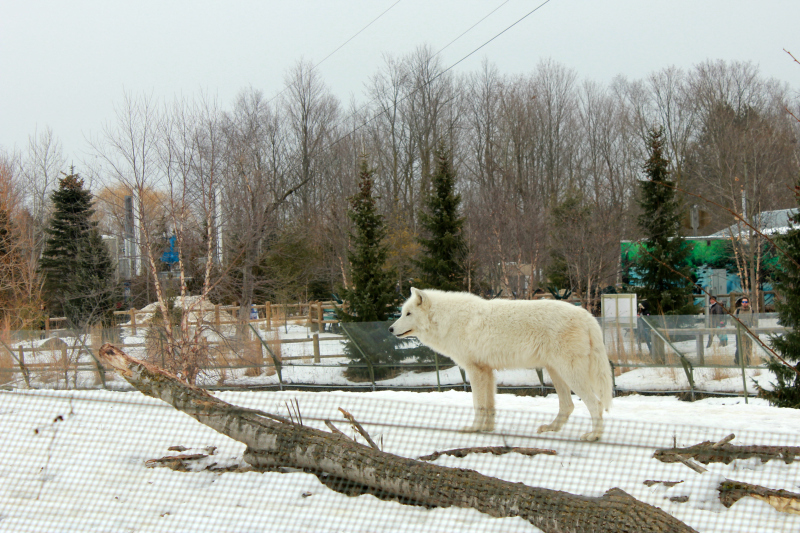 The Toronto Zoo is located in the Rouge Valley on Meadowvale Road in Toronto north of Highway 401 and can be accessed by both car and public transit. The TTC has bus routes that stop at the Zoo’s main gates. The cost for onsite parking is $12.00 per car. Be sure to purchase a parking pass with your admission. 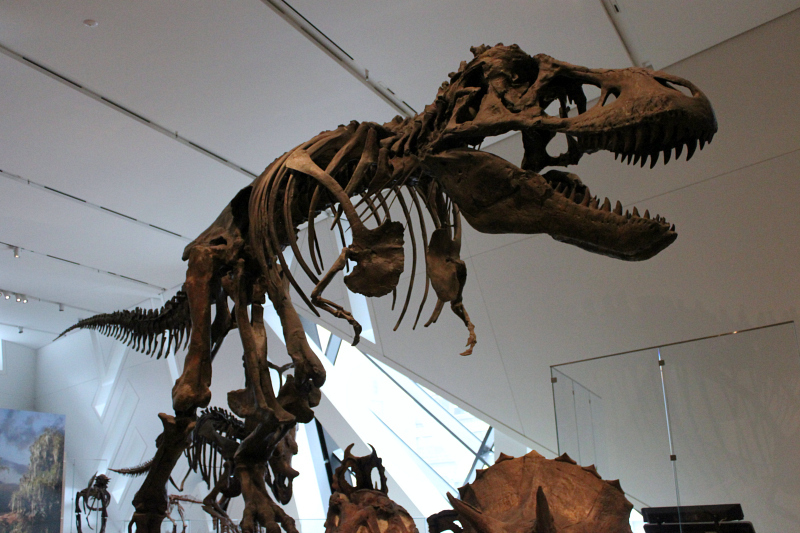 From dinosaurs to Dior, you’ll find it all at the Royal Ontario Museum (ROM) this winter. 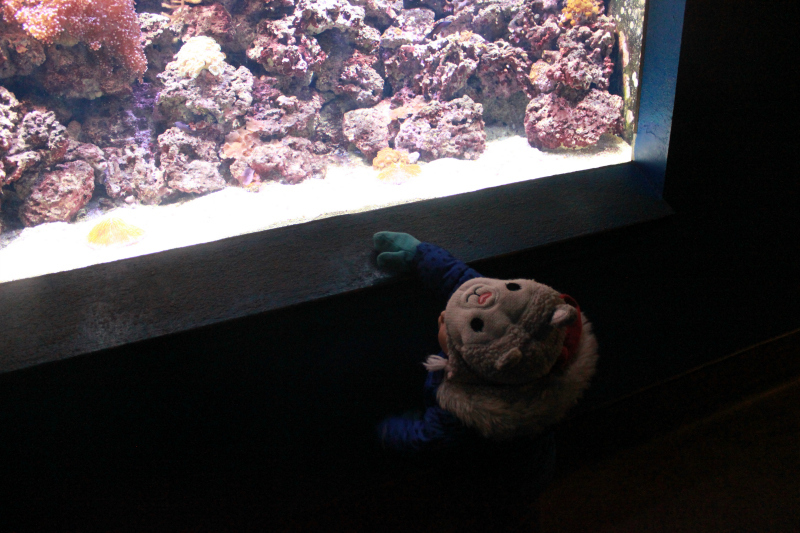 Pre-child, I loved visiting museums. I loved strolling through the various galleries, taking my time reading the interpretive displays and learning about the different artifacts and cultures they represent. 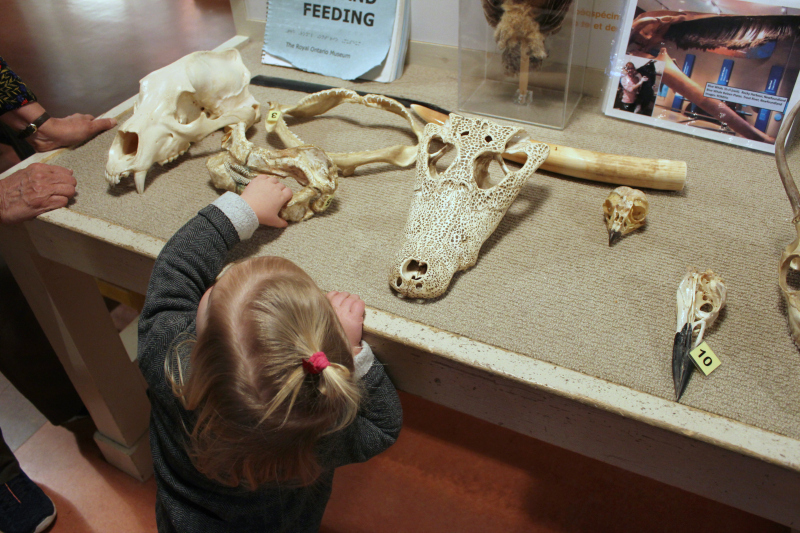 Natural history is my happy place, so getting lost amongst the many animal artifacts was where you could usually find me. 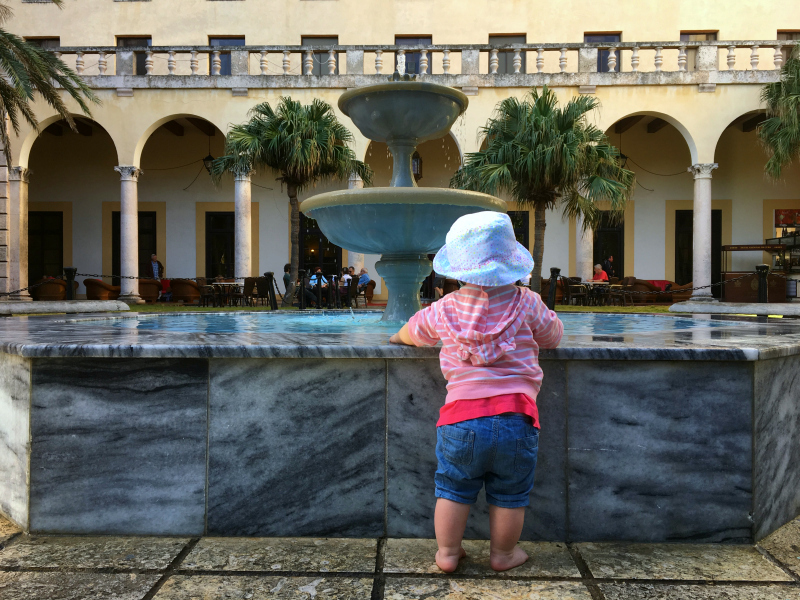 Those days may be long gone now that there is a toddler in the picture, but that doesn’t mean that I still don’t enjoy visiting museums. It just means that I now get to see them in a whole different way, through the eyes of my daughter. She is able to draw attention to the little things that I may have missed in the past. The ROM, located in the heart of downtown Toronto, is one of those museums that I could visit over and over again with little miss Morley and not get bored. The museum consists of over 6 million objects and 40 galleries, and is one of the world’s leading museums of art, natural history and world cultures. 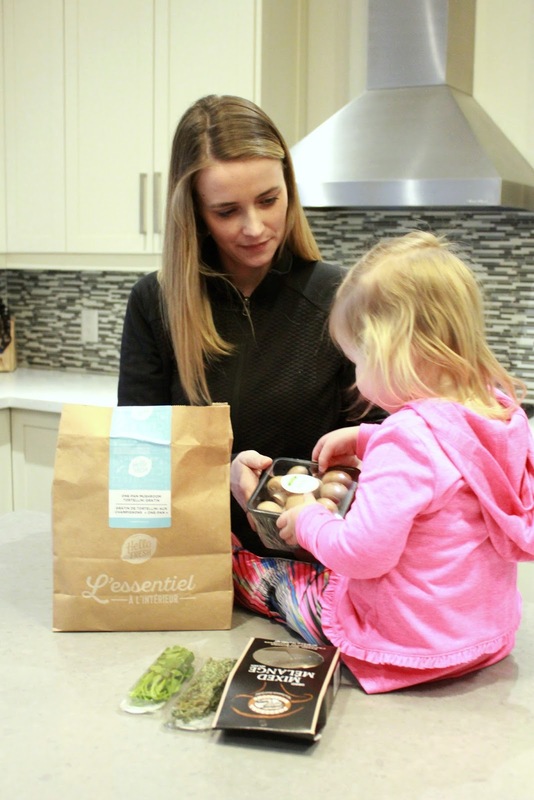 It truly has something for everyone - from a walking, talking nearly two-year-old, to her thirty-something year old mama. 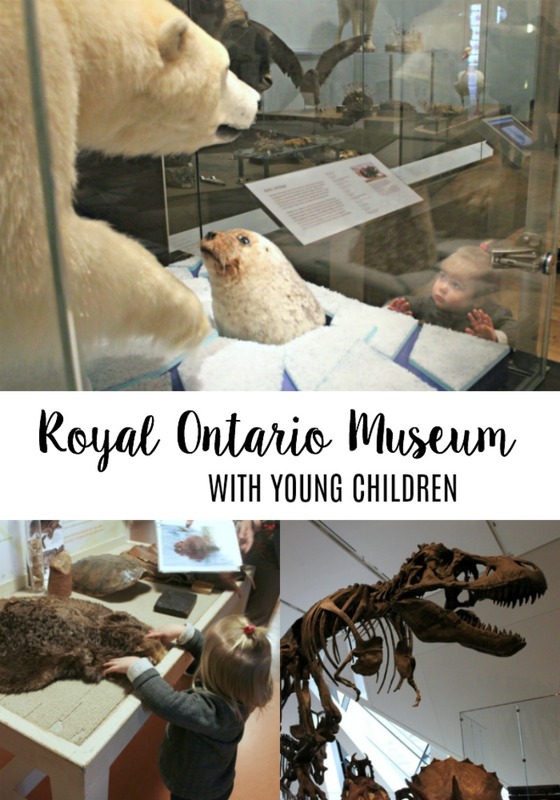 From taking a trip back in time to visit the dinosaurs, to exploring the animals of current day, when we visit the ROM, most of our time is spent on Level 2. 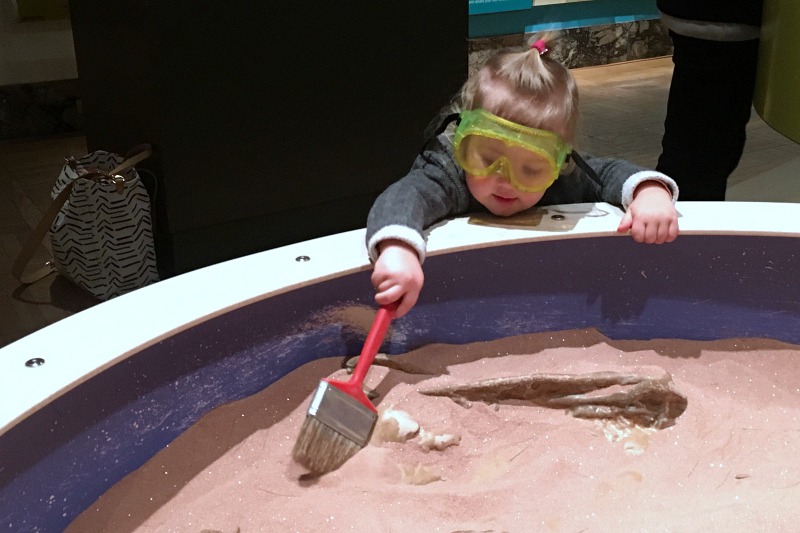 Dig for dinosaurs in the CIBC Discovery Gallery. 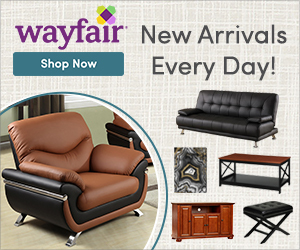 Become a creature of the night in The Bat Cave. 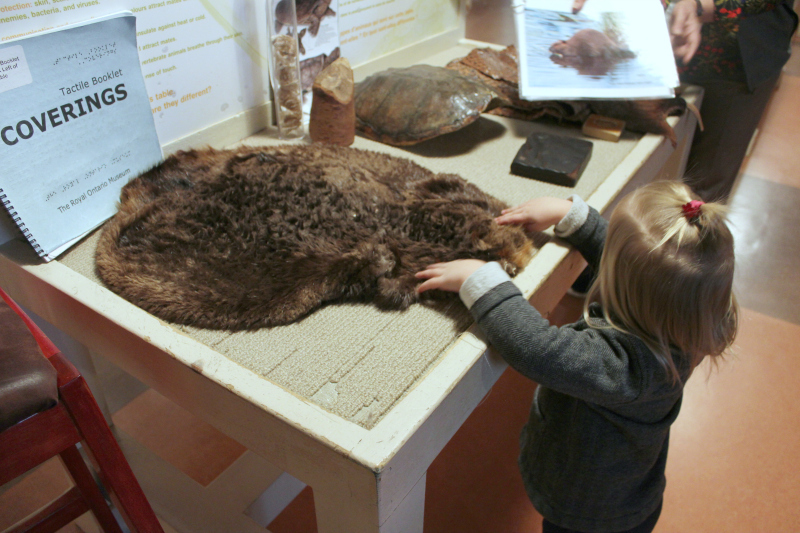 Touch a shark jaw, beaver pelt and snake skin in the Patrick and Barbara Keenan Family Gallery of Hands-on Biodiversity. Take a selfie with the T-Rex in the James and Louise Temerty Galleries of the Age of Dinosaurs. 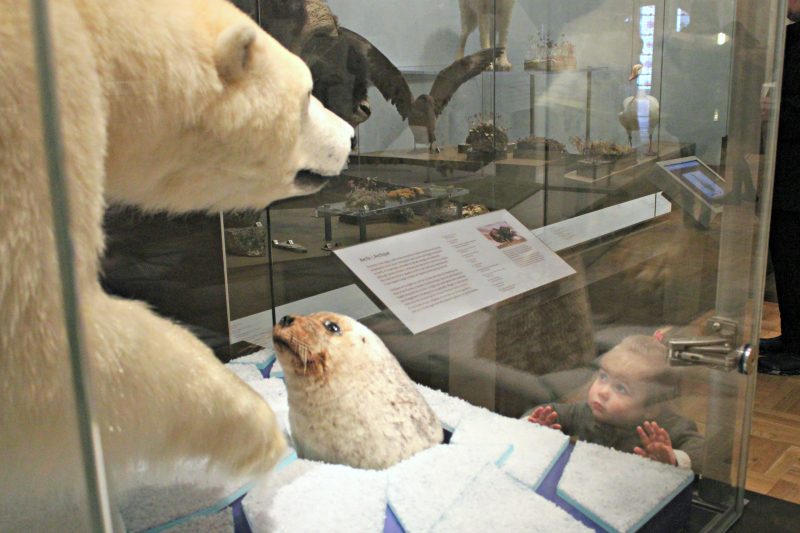 See eye to eye with a polar bear in the Life in Crisis: Schad Gallery of Biodiversity. 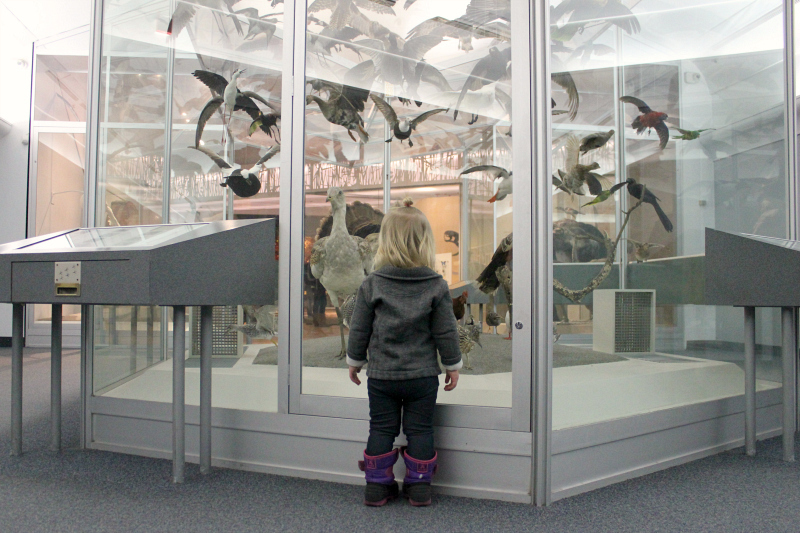 Become part of the flock in the Gallery of Birds. There is so much to see and do at the ROM, that you really can’t explore all of it in one day. It keeps drawing you back in. 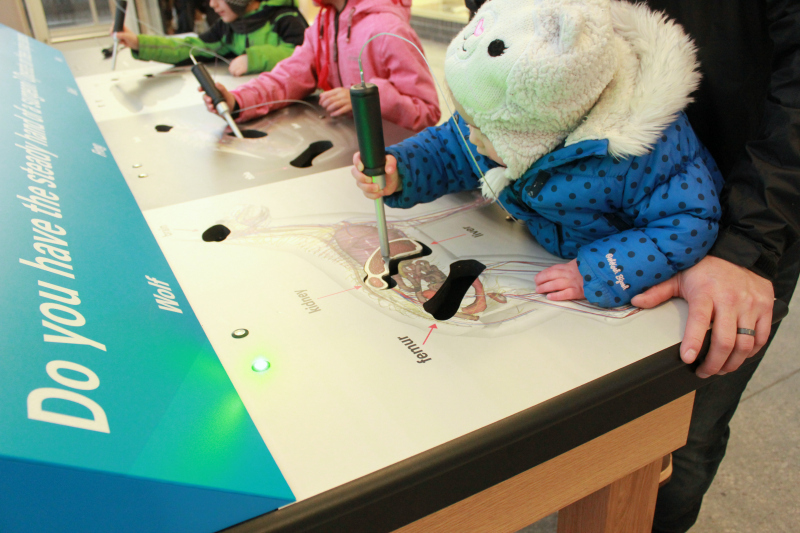 A ROM Family Membership is the best way to take advantage of everything the ROM has to offer. This winter, a ROM membership is the best value for visitors to explore the museum’s surcharged exhibitions - VIKINGS: The Exhibition, Christian Dior and Wildlife Photographer of the Year. It is not only the most cost-effective way to see the entire museum, but members can come back for free and unlimited visits year-round! That means you can come back as often as you’d like to make sure that you say hello to every single animal, touch every single interactive and cover every square foot of public space. 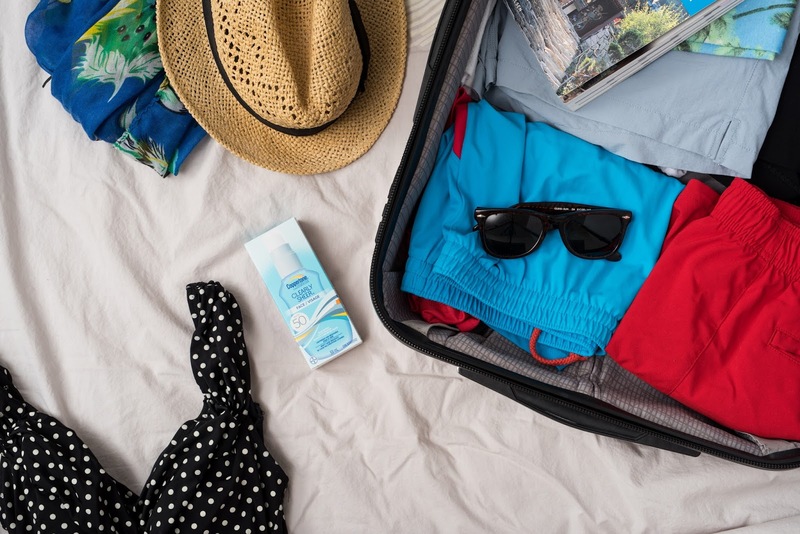 Diaper bags are allowed. 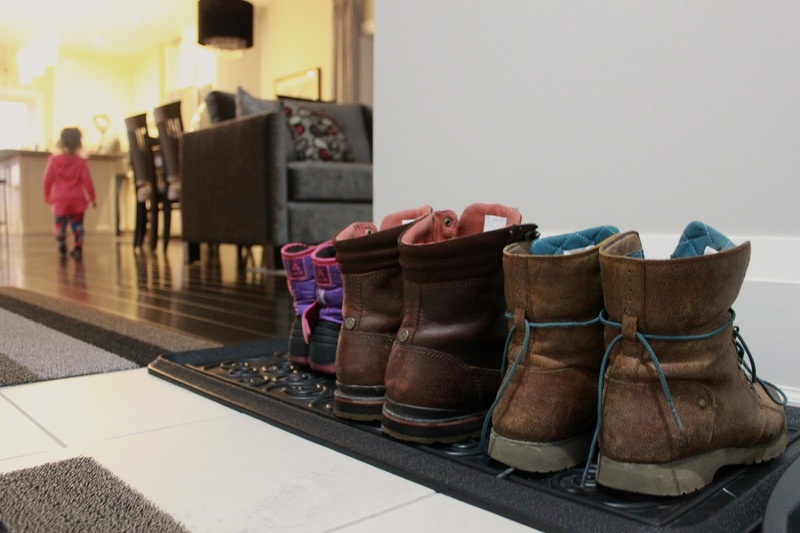 However, they are subject to inspection upon entrance. The museum is stroller-friendly with elevator access. However, there are some exceptions. Please take note of designated stroller parking areas for galleries that do not permit strollers. 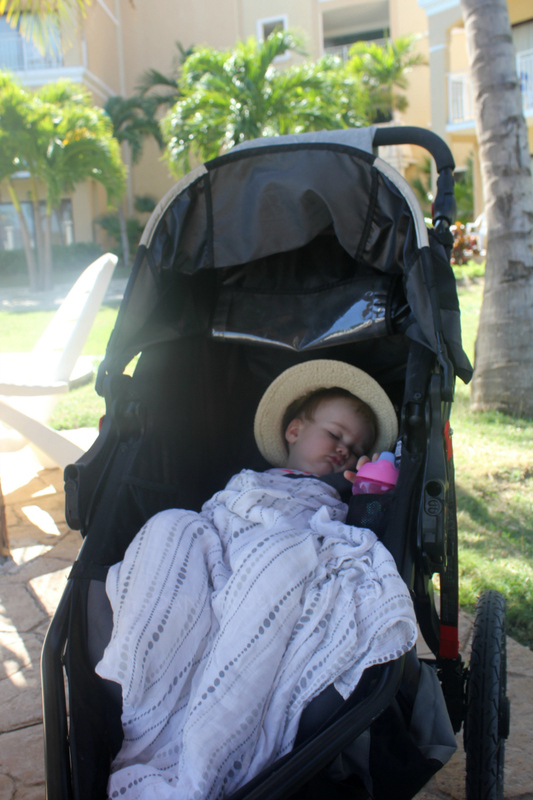 Oversized strollers may not be allowed on very busy days for safety of visitors. For only $2, you can rent a stroller at coat-check (subject to availability). You are welcome to bring your own food to enjoy in a designated eating area. Food and drink are not permitted in the galleries. Bring your own reusable water bottle and refill at the many water bottle filling stations. Druxy’s ROM Cafe, located on the lower level, has a great selection of family-friendly food options, and plenty of high chairs available. Complimentary Wi-Fi is available for guests. Driving: If you are driving, there are plenty of road signs to lead you directly to the ROM. However, remember it is downtown Toronto and paid parking is limited and can be expensive. The Green P surface lot along Bedford Ave (approximately a block north of the ROM) cost approximately $14 for the day. Public Transit: Your best option is to take the TTC. Get off at Museum Station on the Yonge-University Line 1. This will take you to the corner of Queens Park and Bloor Street W, steps from the ROM entrance. Have you visited the ROM? What was your favourite part? I’d love to hear! Disclosure: This post was brought to you by the ROM - Membership Program, however, all opinions are 100% that of To & Fro.